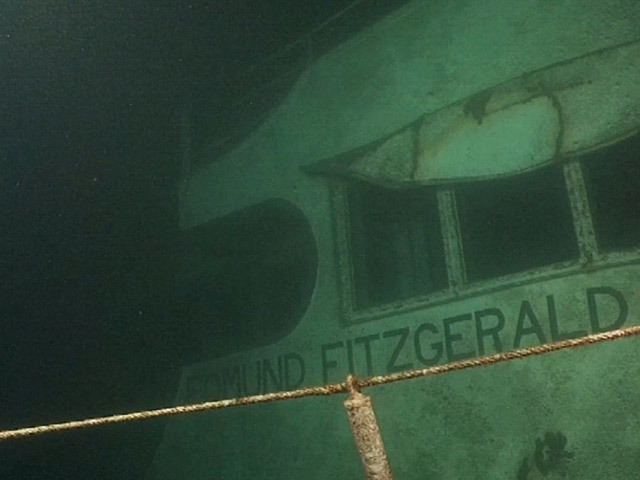 It has been 40 years since the freighter Edmund Fitzgerald sank under mysterious conditions into the depths of Lake Superior. 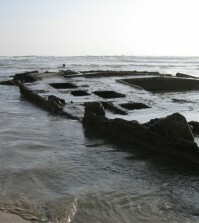 The remains of the crew have never been recovered. Bodies have never been recovered from the wreck of the Edmund Fitzgerald. 40 years ago today, in her 17th year and 40th voyage, the ore freighter SS Edmund Fitzgerald sank in Lake Superior, taking with her all 29 members of the crew. 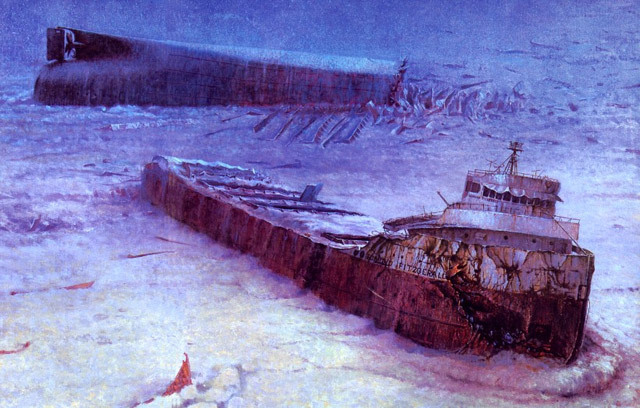 Once the longest freighter on the Great Lakes at 729 feet, the ship was torn in half during a storm on November 10, 1975 and plunged into the black depths before the crew could escape or send out a distress signal. What sank the Fitzgerald? One of the prevailing theories is that it was hit by a series of three consecutive rogue waves, a phenomenon called “three sisters,” which was reported by another nearby ship. It sank 17 miles from Whitefish Point on Michigan’s Upper Peninsula, an area that has claimed at least 240 ships. The wreck was discovered using a side scan sonar and other equipment four days later at a depth of 530 feet. The remains of the crew were never recovered. 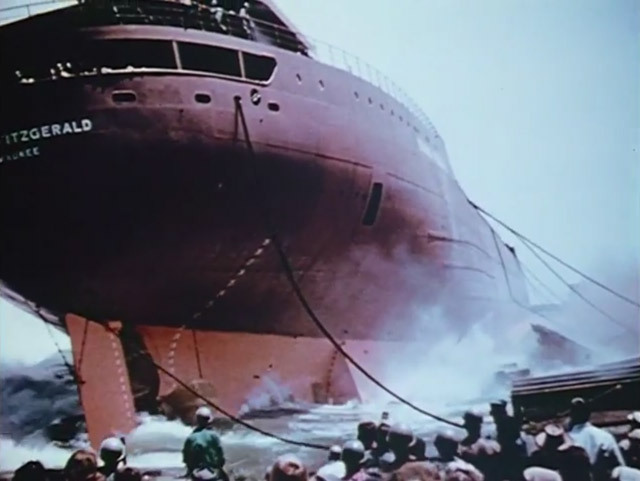 More than 15,000 people attended the June 7, 1958 christening and launch of the Fitzgerald. The sight of the massive ship crashing into the water was so harrowing that one man died of a heart attack on the spot. Legend says that Lake Superior seldom gives up her dead. The average temperature of the lake is about 36 °F, cold enough to inhibit bacterial growth. Usually, bacteria will feed on a decaying body underwater and create gas, which causes the body to float back to the surface. In Lake Superior’s frigid temperatures, however, bodies tend to sink and never resurface. A number of memorials are held annually on November 10 to commemorate the lives lost on the Fitzgerald and the Great Lakes. 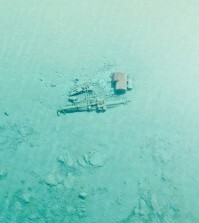 Artifacts from the ship can be seen on display the Great Lakes Shipwreck Museum in Whitefish Point near Paradise, Michigan, as well as the Dossin Great Lakes Museum in Detroit, and the Steamship Valley Camp museum in Sault Ste. Marie, Michigan. 1975 side scan sonar was not a common item for coast guard or anyone else to have. 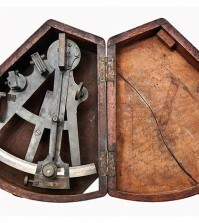 It was pretty new technology back then. I lived in that area at the time. Not much money went into water transportation safety. why did take almost 4 days to set up the side scan sonar?